National Guard Aviators have played significant roles in all of America's wars and most of its major contingencies since the First World War era. They have also aided their states in coping with natural disasters and civil unrest. 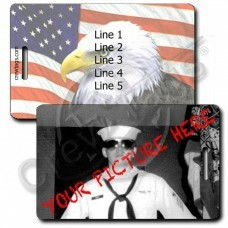 You share a heritage with the likes of Captain Charles A. Lindbergh. 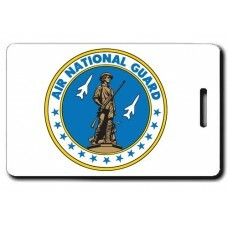 Be proud and show off just a little bit with these U.S. Air National Guard Luggage Tags. You've earned it! 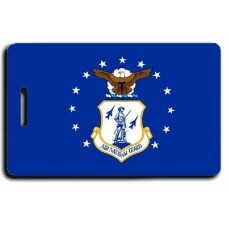 Grab these United States Air National Guard Flag Luggage Tags to show support for your favorite Sold.. 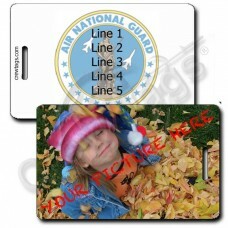 Grab this Seal of the United States Air National Guard Luggage Tags to show support for your favorit.. 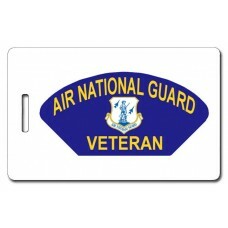 Grab these United States Air National Guard Veteran Luggage Tags to show that you served. We can ..